Best CARTOONS of all time!! 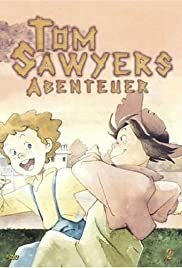 This cartoon takes about off all the adventures of Tom Sawyer and his friend Huck. This is the best adaption of Mark Twain (Samuel Clement) book, the quality of it is above cinema and other Toons made about him. This will tell of from flying in a balloon, walking on a mine and visiting the ghost-house and the adventures on Jackson island.